Sadie wants to fix the world. Simon wants to rule it. Starting with her. You can find books 1 and 2 in the series here and here. Sadie and Simon are ready to exchange vows. Almost. All they need now is a place to call home. 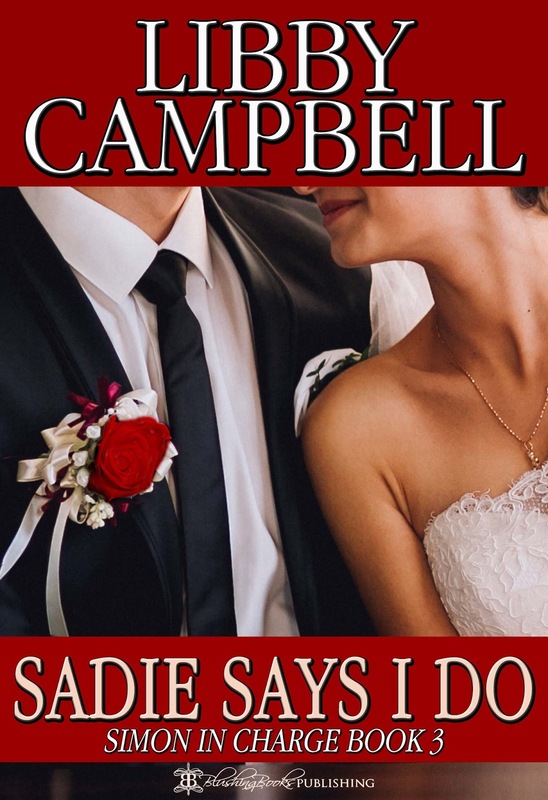 Once that detail is settled, Sadie promises she’ll start planning the wedding. Publishers’ note: Sadie Says I Do is intended for adults only. Spanking and other sexual activities represented in this book are fantasies only, intended for adults. Nothing in this book should be interpreted as Blushing Books’ or the author’s advocating any non-consensual spanking activity or spanking of minors. I’d been with Simon long enough to appreciate the way that spankings cleared the slate with him. He’d punish me for breaking his rules and then he’d forgive and forget my trespasses. The air would be fresh again, as if a terrible thunderstorm had rolled through, renewing and invigorating the world. Hi Kelly - Thank you for hosting Simon, Sadie & me on your lovely blog. Hi Roz - Thanks for your kind, understanding comment on the excerpt.